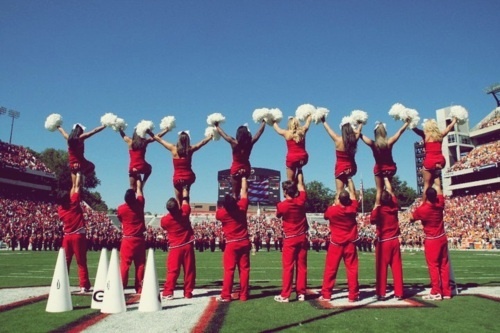 Now that we’ve established cheerleading as a sport, why does it matter to sports medicine? My point in painting this picture in Part 1 of cheerleading-as-a-sport is not because I want to see cheerleading in the Olympics. It has nothing to do with my former 6th grade dreams to become a cheerleader. There is the bigger issue. At the end of the day, as with all other sports, cheerleaders get injured. 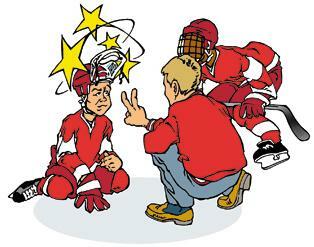 The more participants and complex skills that are required for participation, the more kids will get hurt. Just as with any other athlete, we are all faced with having to understand cheerleading so that we can rehabilitate them back to their sport. Or better yet—prevent the injuries in the first place. Part of understanding a sport you’ve never done is taking the time to learn about it. So I’ve been to cheer practice, a competition, got the team t-shirt, and have been doing some bedtime reading. I’ve been completely out-tumbled by a 6 year old, too. According to Shields & Smith (2009 and 2010), some of the most common injuries in cheerleaders (of any variety) are ankle injuries, knee injuries, and low back injuries. When humans have to lift other humans overhead, there is going to be a risk of falling. Either the lifter (known as the “base”) or liftee (known as the “flyer”) could be injured as a result of a flying human failure (that’s a technical term, by the way). Shields & Smith showed that up to 52% of all injuries in competitive cheerleading happen during stunts, up to 24% occur specifically to the base/spotter, 15% from tumbling and 14% from traumatic falls of the flyer. That’s a lot of flying human failure. In addition to stunting and tumbling skills, the surface on which these athletes cheer may vary from grass to spring floor, resilite (foam) to hardwood floor. The same 2009 study mentioned above showed that 34% of competitive cheerleading injuries occurred on foam floor and 30% on spring floor. 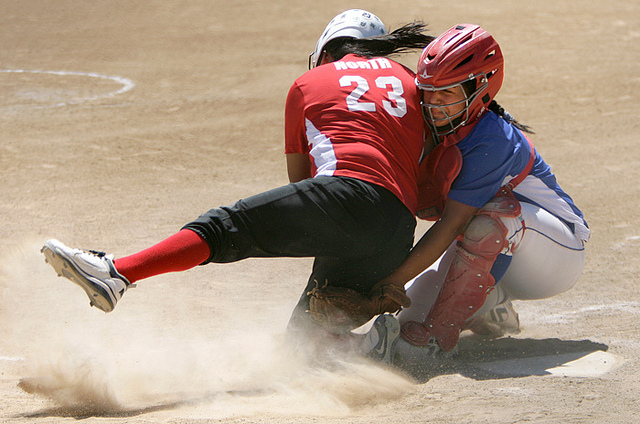 The diversity in competition/performance surface literally impacts an athlete’s ability to perform certain skills and has the potential to place undue strain on certain areas—putting them at greater risk for injury. 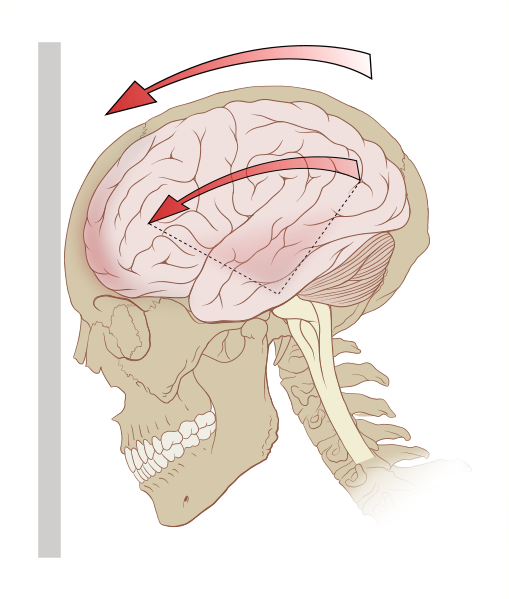 A different study by the same researchers showed marked differences in risk for head injury in cheerleading stunts performed on various surfaces, with higher height of stunt and lower impact-absorbing surfaces leading to greater risk for injury. Patients of mine have ranged from the competitive cheerleader with a traumatic ACL tear or ankle sprain, to the sideline cheerleader with a stress fracture in the back from improper base and tumbling mechanics. I’ve seen flyers who have fallen from a stunt with severe concussions. I wrote about concussion in cheerleading last month, and the CDC has some great educational information and athlete stories out to spread the word, too. Last month I began working with a 15 year old high school cheerleader/tumbler who very eloquently told me the reason for her injury was “because I don’t tumble or base with the right form.” Not only was I impressed that a 15 year old identified the root of her problem, but she identified a risk factor that Shields & Smith (2009 and 2010) have shown to be the biggest predictor for injuries in bases. Remember how I mentioned in Part 1 how impressed I was with the University of Kentucky base body mechanics? I take notes for my patients. This is part of what we make sure our bases can do before they can return to cheerleading after injuries. Check out this photo of great base mechanics being taught in 4-6 year olds. Great coaching from an early age instills great injury prevention for the future. So what do we do in PT? I find that generally for all cheerleaders, no matter what their position or role, the treatment plan mirrors the same plans that I use for gymnasts, divers, or even pole vaulters with similar injuries. The only difference is that for several sideline and all star cheerleaders, we also have to train the skill of avoiding flying human failures. It is unfortunate to be injured, but fortunate when a young cheerleader ends up in physical therapy. I see it as a great educational, rehabilitative and prevention opportunity to keep a young athlete active and engaged in the sport he or she loves so that he or she can move into a healthy and active adulthood. I love a good challenge and love being creative with my PT skills to develop cheerleading-specific programs to help these young athletes get back to their sports. 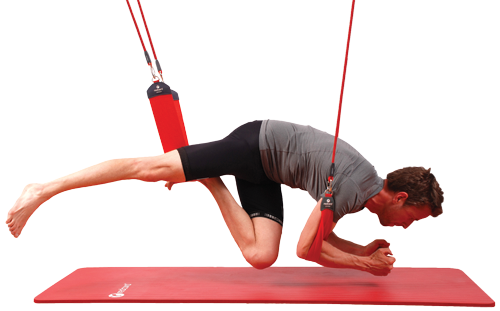 I use some cool tools like Pilates apparatus and Redcord Neurac to design kid-friendly and cheer-specific exercises while educating on alignment, spinal mechanics, central stability, breathing mechanics, and all other “typical” concepts I teach to other tumbling and flying patients. If you want to read more about other “core” ideas I incorporate into my young tumbling and stunting athletes, visit this blog or check out this video from my PT colleague Julie Wiebe in Los Angeles. 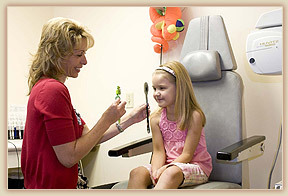 Unfortunately, many young and even collegiate level cheerleaders do not often make it to a medical provider. In fact, the same 15 year old I mentioned above was injured then immobilized for 6 weeks. That’s a long time to not move a body part, folks. Had her mother not brought it up in conversation with me one day, she would have returned to cheerleading without correcting the imbalances and poor mechanics that likely led to the injury in the first place. As I mentioned, even she knew her mechanics were an issue. They had to ask to be referred to physical therapy. It shouldn’t happen that way. Why is it that cheerleaders do not regularly receive medical attention? Due to the fact that several sport governing bodies like the NCAA, AAU and sports medicine governing bodies like the ACSM and NATA do not always recognize cheerleading as a sport, cheerleading does not receive money nor sanctions to create a standard set of rules and standards of medical care. 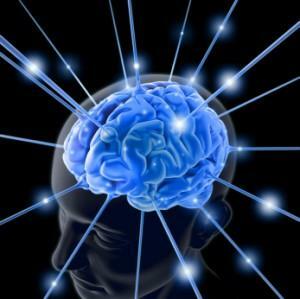 It is not heavily researched, though several small groups of researchers have begun to explore this concept. The American Academy of Pediatrics released a position statement on cheerleading. The STOP Sports Injuries campaign also has begun with cheerleading advocacy & safety campaigns. Most cheerleading competitions are not held in traditional athletic venues; rather they may be held in large convention centers which may not be designed to support emergency medical needs. It is rare to hear of athletic trainers covering cheerleading events and competitions, or for a cheerleading squad to have their own team physician. Without recognition by national and/or international sports and sports medicine governing bodies, there is no requirement for standardization of safety and care. These organizations are not necessarily unified. Each has different rules and standards for competition and performance and they have different governing “roles” for each type of cheerleading. The spread of leadership and rules contributes to confusion of “who’s in charge” and requires a very diverse skill set in coaches and in athletes. As we move along the chain from national organizations into the various forms of more “local” cheerleading, including high school, middle school and recreational leagues-there is even less organization. Some school systems include cheerleading as a varsity sport, while others call it a “club.” In college, some schools offer varsity scholarships for competitive cheerleading, while at others it is not recognized as a varsity sport. The NCAA Injury Surveillance survey, an ongoing project chronicling incidence and risk factors for injuries in 16 collegiate sports does not include cheerleading in its study of collegiate sports. 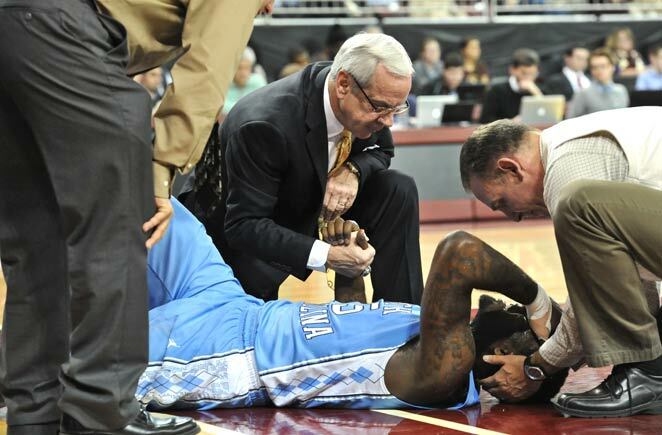 This means that these athletes may not be covered nor managed by the school’s athletic training and medical team. 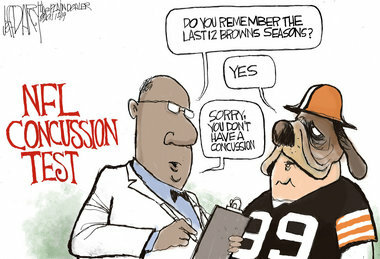 They may not be required to undergo preseason physicals or baseline concussion testing, two key injury prevention checkreins. At the end of the day—there is no standardization of rules and care. This leads to an overall problem of funding for research, prevention programs, and management. In summary, without all of this information, people just don’t know the right way to handle cheerleaders. It’s a safety issue. So what do we do about this? We have to change our language and understanding. There is no use in denying it as a sport. What does one gain from doing this? Does it make one feel like more of an athlete to say that someone else isn’t an athlete? A 2004 study showed that the Vo2 max, body composition, strength & endurance of collegiate cheerleaders rivals that of other collegiate athletes. They’re in shape, they are performing feats that require a high level of athletic skill, and they deserve the same wellness and prevention attention of other athletes. With the number of cheer-related concussions and injuries on the rise, it’s just not worth the risk of ignoring it at this point. The AACCA is one of several organizations offering a credentialing process for cheerleading coaches. While there are likely many non-credentialed skilled and talented coaches out there, it is generally accepted credentialing protects the consumer—in this case the athlete and family. It improves safety awareness, injury prevention/management, and standardization of coaching and level progression protocols. While there has been conflicting evidence to show the relationship between coaching credential and injuries, a 2004 study in North Carolina high school competitive cheerleaders showed a 40% decrease in cheerleading injuries when credentialed coaches were present. I am a firm believer that a credential does not guarantee skill. However, it does show a commitment to the betterment of a profession and a sport. Find a credentialed coach near you. In the case of the young cheerleader, this is something that runs rampant on my caseload—and I blogged earlier this year about how am seeing injuries and early specialization in sports from increasingly younger ages. Some of that is parent-driven, as described in this post, but some of it is culture-driven. 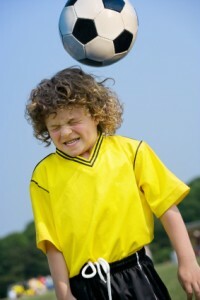 Early specialization leads to injuries. It’s a problem. But on the flip side-there has to be a balance. Our kids need to stay healthy and active, and sometimes early participation and specialization in a sport is a way to do that. 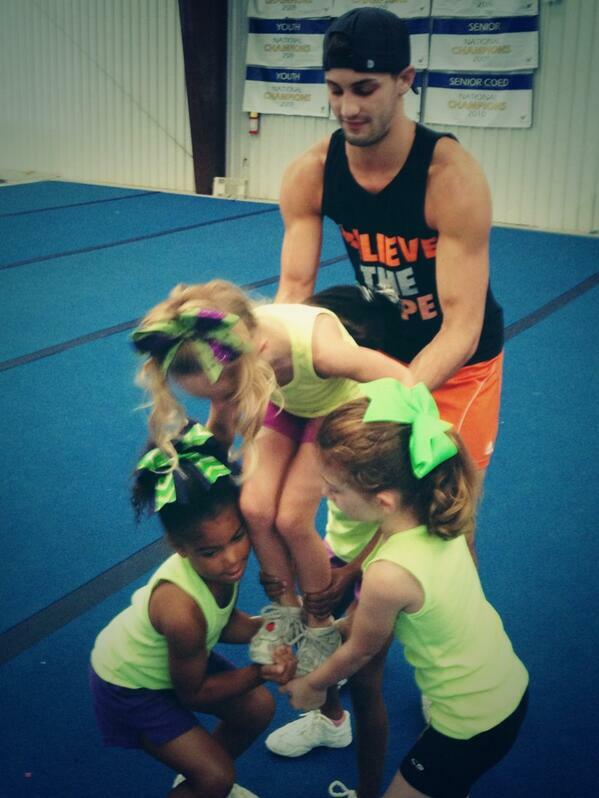 Ride the cheerleading safety and prevention wave with me! 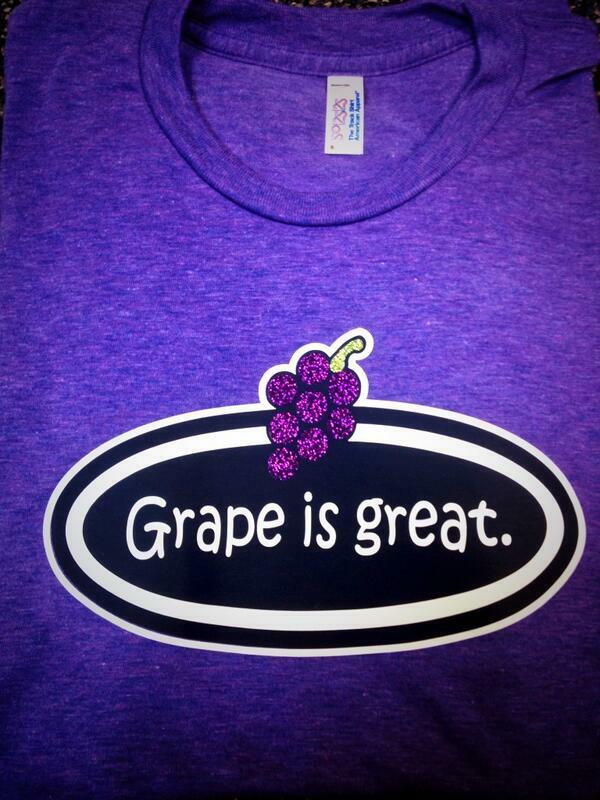 You just might get to wear a cool shirt like the one below and support one of the fastest-growing athletic activities for young athletes. Out of respect for all sports, the comparisons made in this post were not meant to downplay or discount the hard work or dedication of athletes in any other sport or activity. In addition, this was not meant to be an exhaustive post about all factors which contribute to sports injuries in cheerleaders. Be on the lookout for future posts that highlight additional issues in these and other athletes. I welcome your feedback and thoughts for future ideas. Welcome to National Cheerleading Safety Month! Wave your pom poms, do a few jumps and leaps, and get excited for this marvelous awareness campaign! For anyone who knows me, you may wonder why in the world I’ve decided to blog about cheerleading safety. I’ve never been a cheerleader. In 6th grade when every single one of my female friends was signing up for recreational cheerleading—the penultimate way to become popular and gain friends in middle school—I was qualifying for travel swim meets to California and Orlando. I went to Disney on both coasts in one summer. Let me tell you, I really suffered at making friends. Regardless of that, I still felt a little left out at the time from this seeming rite-of-passage activity for many young ‘tweens. Nowadays we call this a #firstworldproblem. So why do I care? Perhaps it’s because a friend of mine has a high-flying-tumbling-and-stunting fanatic 6 year old who can pull off some pretty fancy skills. Or maybe it’s the plethora of cheerleaders I have treated over the past few years for a plethora of injuries and problems. While I’ve learned there are many types of cheerleading, there always seems to be a common denominator among their injuries: no one definition for the sport, leading to no unified standards for safety, and subsequently increased risks for injury. 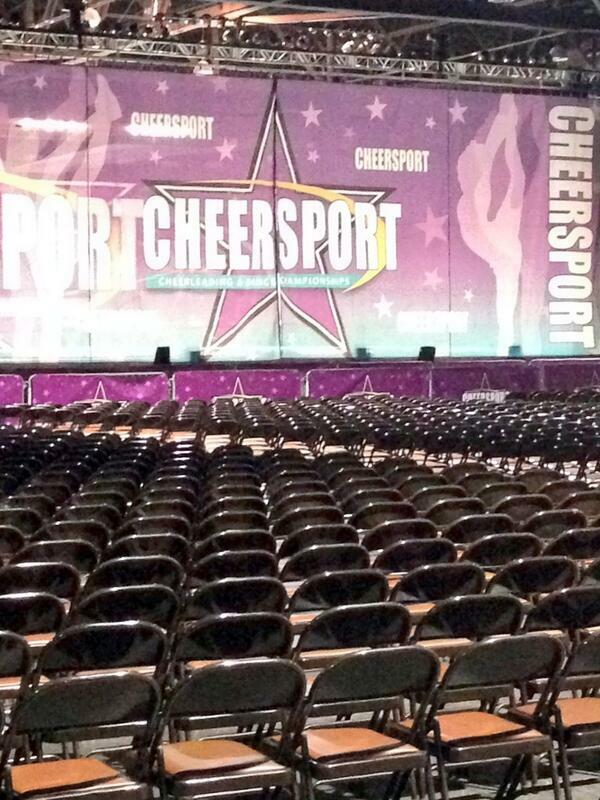 So let’s just start with one fact: Cheerleading is a Sport. There. I said it. Did you agree with me? Roll your eyes or shudder at the thought of considering it a sport? Vehemently disagree? Still on the fence? If you answered yes to any of those, then please humor me and proceed. By calling cheerleading a sport, it would imply that I’m lumping all types of cheerleading into the same category. Yes, I do realize there are differences. Keep reading. The cheerleading “purists” out there might argue that sideline cheerleading is not the same as all star or competitive cheerleading. 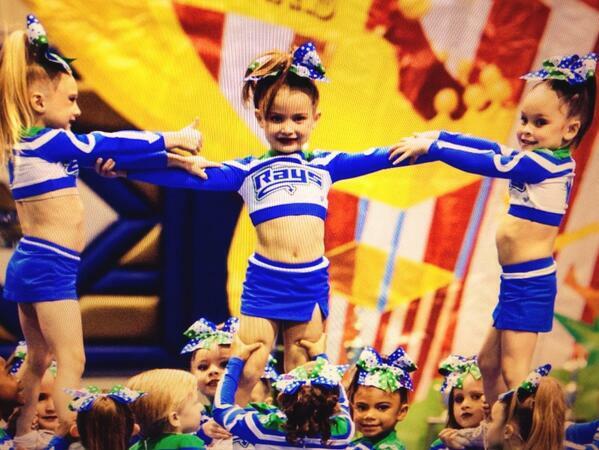 You may be thinking “well MY KID does the athletic type of cheerleading. Those other kids who stand on the sideline: that’s not a sport.” Some types of cheerleading require higher levels of athletic skill and teamwork than others. But for the sake of argument and keeping me from writing 4 separate blog posts, let’s just put them all together. On the contrary, some cheer “haters” would throw out every excuse and argument in the book to support the “cheerleading is NOT a sport” campaign. Some have even blogged about it, asking “how dare cheerleaders compare themselves to LeBron James?” I’m not sure anyone is actually comparing cheerleading to LeBron, except perhaps the author of that post. That’s like apples and oranges. Both are fruit, yes, but there really is no comparison. 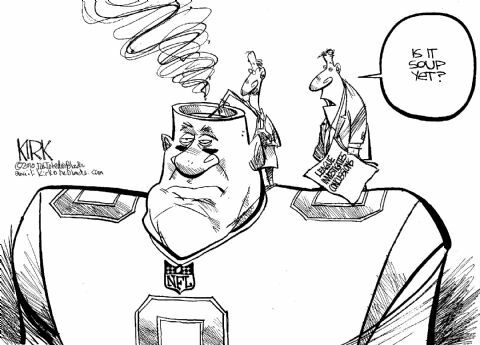 Both cheerleaders and basketball players are athletes, yes, but comparing is futile. If I could figure out the reason anyone would spend his or her time arguing against cheerleading as a sport, I think it would solve the meaning to life. Did cheerleading wrong you in some way? Did it trip you in middle school or steal your lunch? I’ve heard that girls (and guys!) who jump and clap for another sport are not, in fact, participating in their own sport. Who cares if the sport is in support of another sport? Take cheerleaders who cheer on football players, for example. They jump for 2-3 hours, dance, lift each other up overhead, tumble, and perhaps perform a well-choreographed routine for several minutes at halftime. A casual observation would see that some cheerleaders—even the sideline ones—do more on their feet than the 4th string benchwarmer. I’m not knocking the freshman who is anxiously waiting for play time, but I’m just sayin’…the cheerleader is burning more calories than you dude. Let’s look at it another way. How great it is that two sports are put together for an overall end result of everyone-gets-a-workout and everyone-works-as-a-team? What a marvelous concept! You go to a football game and also get to watch cheerleading. That’s two-for-the-price-of-one, folks. And who doesn’t like a good BOGO deal? Perhaps we should rephrase and say you’re watching cheerleading and as an added bonus, there are guys in funny padded costumes knocking each other over in the background. Depending on how your favorite football team’s season is going (or not going), you may prefer to spend your season ticket money watching those tumblers and stunters. Then there’s the “costume” argument. I’m going to just call it like it is. If you’re going to argue anything about the appearance of a cheerleader having anything to do with it being a sport or not, I’d urge you to reconsider. I’ve heard the phrase “Girls who wear barely any clothes, wear makeup and glitter are not athletes.” So how do you explain gymnastics? 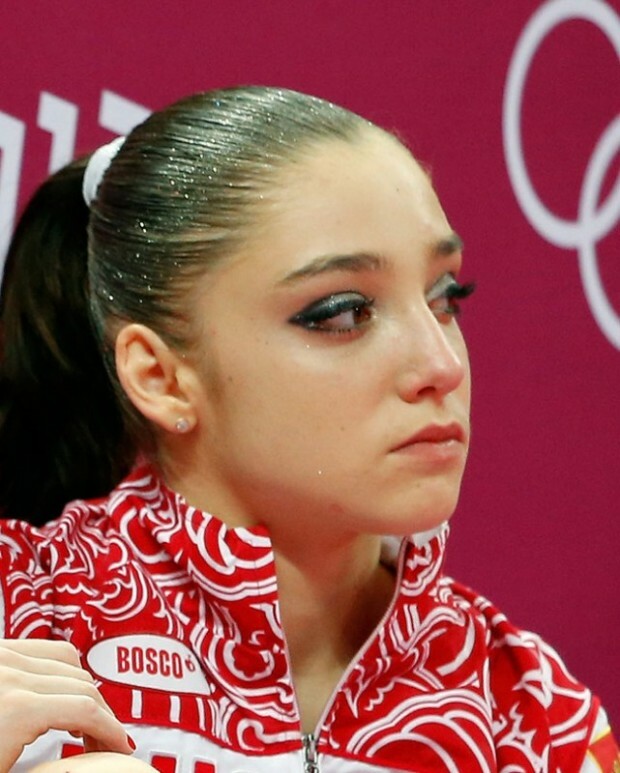 Have you SEEN the hair spray, makeup, glitter, and lack of clothing in gymnastics? If you haven’t, take a look at the photos below. Have you been to a swim meet lately? We all used to joke about girls who curled their hair and put on make up just to dive in the pool and mess it all up. Then they’d go re-do their makeup in between events. And last time I checked—swimmers don’t wear ANY clothing. Don’t even get me started on the “acceptable” amount of swimsuit wedgie. Let’s just say that we all knew who THAT girl was who crossed the line (literally) in her Arena suit. She always swore that’s how they’re worn in Europe. And we won’t even discuss guys in racing Speedos. Skilled runners all over the world wear spandex shorts that barely cover their bums and sometimes up top they wear only a sports bra. Last time I watched the Olympics even the male runners had on jewelry and the female runners had beautiful hairstyles and wore makeup. Don’t believe me? 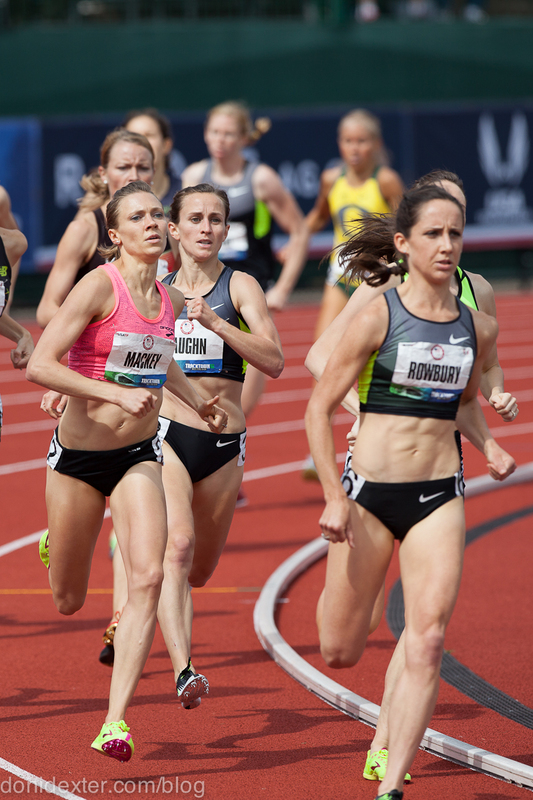 Check out this blog on “What Professional Runners and Prom Queens Have in Common”. Makeup, glitter, and barely any clothes are just part of the pedagogy in most of these activities. It’s what helps them function in their roles. Visualize an Olympic sprinter in full football gear, or a gymnast in a helmet or elbow pads. Gotten a good mental image down? Just wouldn’t have the same effect, now would it? Next argument. If an activity has organized practice, requires conditioning, stretching, strengthening, coaching, hydration in between exercises, stresses someone’s cardiovascular reserve—is that not an athletic activity by any other name? Then you add the judging and scoring associated with all star cheerleading—and now you have an athletic competition. There are the artistic and skill components of choreography and tumbling in cheerleading. Wait! Gymnastics has choreography and tumbling in the floor routine! Interesting! Some may argue that a “subjective” activity like gymnastics or diving with a scoring system is not really a sport or game. I’d like to see you practice gymnastics for 20+ hours per week and tell me you’re not doing a sport. 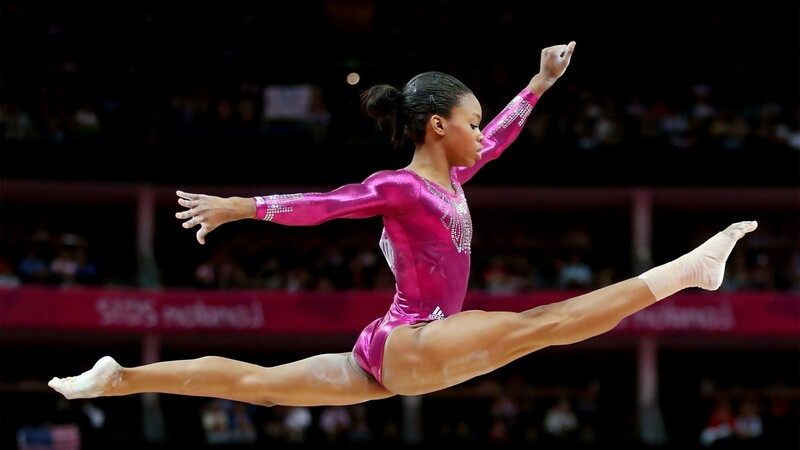 Tell Gabby Douglas she’s not an athlete. Let me know how that goes for you. In addition, there’s synchronized swimming and one of my favorites- the new Olympic sport of synchronized diving (shout out to Duke Women’s Diving Olympic Silver Medalist Abby Johnston, by the way!). Both have choreographed tumbling-esque components. 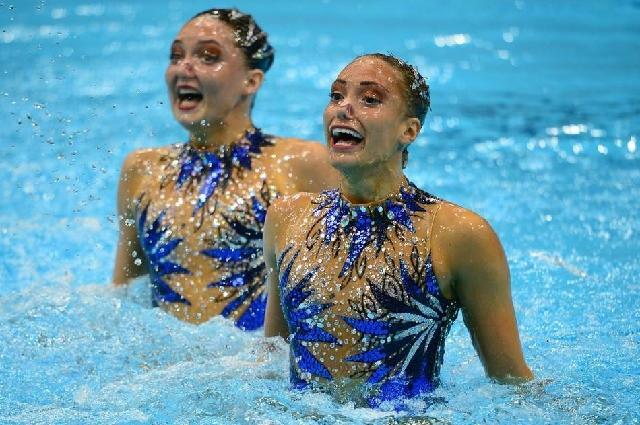 Oh, and check out the makeup and costumes in synchronized swimmers. Minus the whole don’t-drown-while-dancing-upside-down-underwater part, how is synchronized tumbling in cheerleading any different? Let’s layer on teamwork. The amount of teamwork required for cheerleading stunts is impressive if you have ever seen a competitive cheerleading routine. This level of teamwork and coordination is present in other activities we call “sports” including rowing, soccer, basketball, and football. And no, if you think I’m being the pot calling the kettle black– I’m not comparing University of Kentucky Cheerleading to the Miami Heat. I’m just making a point on teamwork. So, if sports require teamwork, then I would presume that cheerleading should fall into the sports category, correct? But wait! Some of those sports I mentioned are games. Cheerleading is NOT a game, right? So what is a game? According to the University of Google, a game is a “form of play or sport, esp. a competitive one played according to rules and decided by skill, strength, or luck.” By that definition, I think we can call cheerleading a sport, athletic activity, and I would go so far as to call it a (gasp!) game. Unlike the similar activities of gymnastics and diving that I already mentioned, there is one element of cheerleading that makes it unique. Weight lifting. Let me clarify. This is not CrossFit Cheerleading. By “weights” I mean humans. Now that’s some high-risk weight lifting. While I completely respect (and love!) diving and gymnastics, neither of those sports requires humans to lift other humans in a completely well-timed choreographed routine. Then there is the comparison we could draw with weight lifting and throwing. Do you see Olympic weight lifters dead lifting another weight lifter? No. Do you see the javelin thrower launching another human into the air? No. Come to think of it, the entertainment behind both of those ideas might actually get me to watch them on TV. So in summary—if cheerleading is not an athletic pursuit, sport, game, or whatever term you’d like to use, then I feel I’ve been misinformed for 30 years about what IS a sport. Still not convinced? Check out this video. 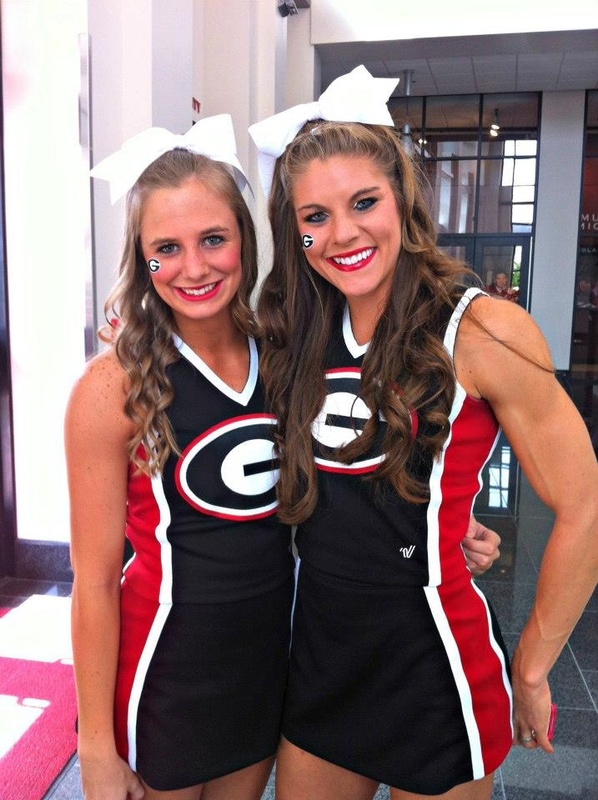 These collegiate cheerleaders (arguably the best in the nation) have earned the title of “sport” in my book. I might also add that I’m ridiculously impressed with the body mechanics of the bases. They make it look easy. Read on to Part 2 to find out why basing body mechanics are important and why cheerleaders, like all athletes, need good safety awareness, sports medicine care, and research.